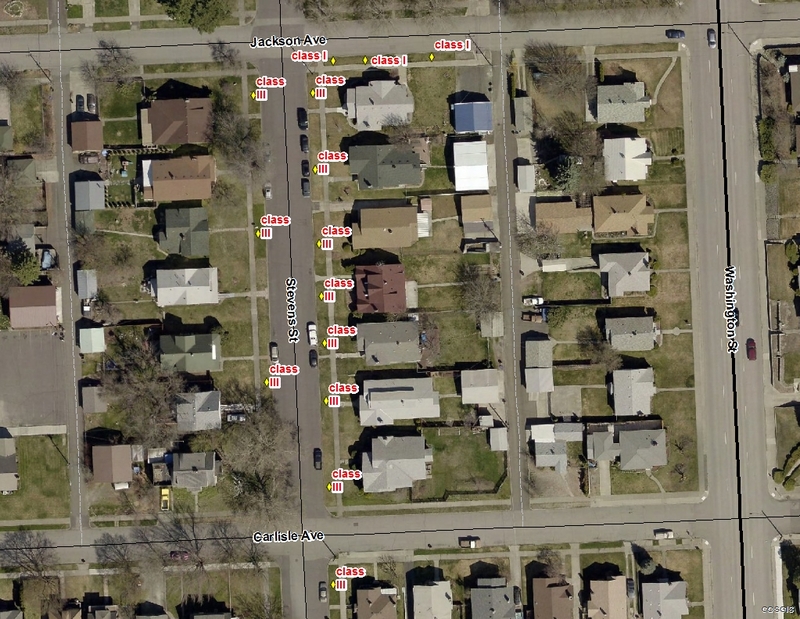 The Emerson-Garfield Neighborhood Council is currently applying for two ambitious Greening Neighborhoods grants. 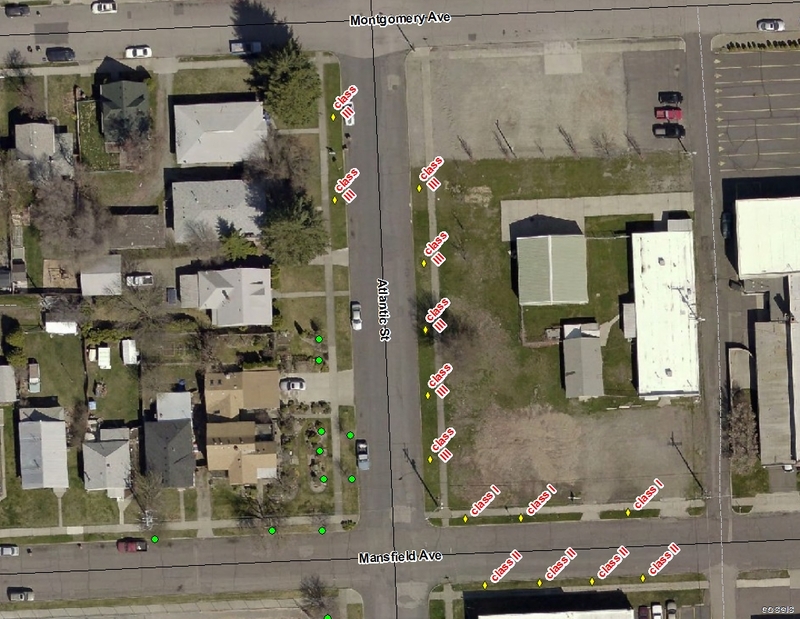 One project will use native shrubs and permaculture to complete the area on N. Maple that was planted with nine trees back in April. 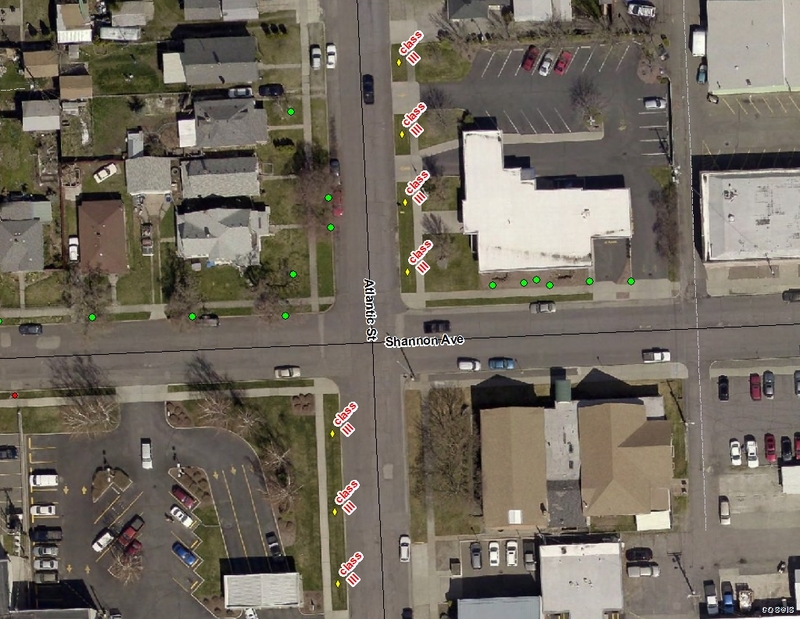 The other project will be a “guerrilla” planting that will put street trees in front of homes at 2000–2500 N. Atlantic and 2400–2500 N. Stevens. It’s called “guerrilla” because a band of neighborhood volunteers will conduct the planting themselves over the course of a day or two. They’ll be overseen by a certified arborist. However, to ensure the grant is successful, we need permission from the owners of the properties that fall within those areas. This means we can either knock on your door in person, or you can get in touch with us (quickly, please!) and say that you’d love to have a street tree in front of your home that will buffer wind and noise, beautify the neighborhood, shade your home from the sun’s heat, and, yes, even help calm traffic. 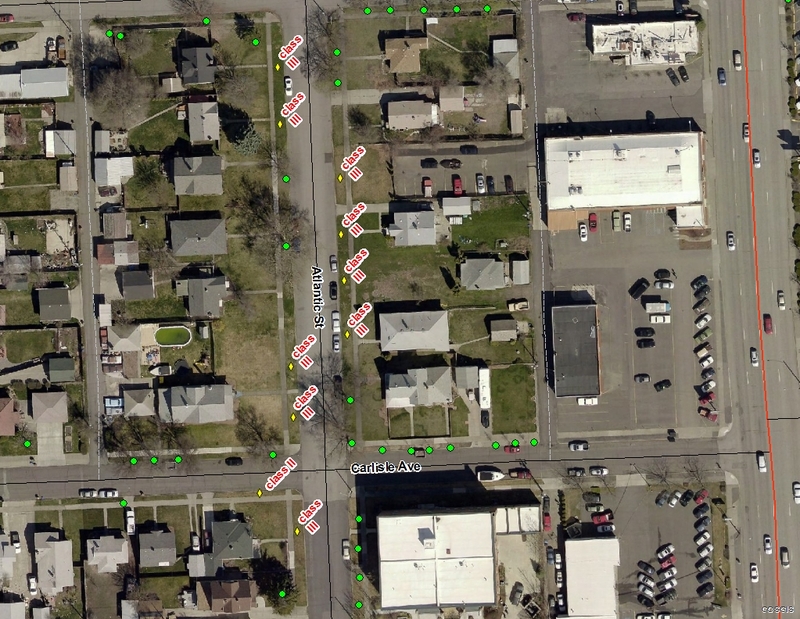 To see what’s planned in terms of location and scope, click on the aerial maps above. 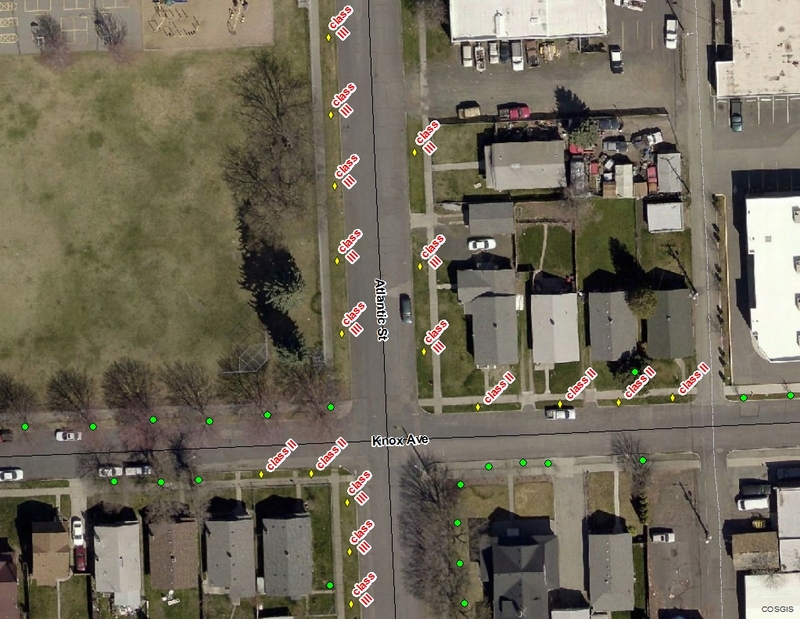 These indicate what planting strips will allow for trees, the number of trees (61 in total), and the proposed tree class (i.e., I, II or III) as specified on the Approved Street Tree List on the Spokane Urban Forestry web page. Residents will be able to determine the choice of trees. Even if you don’t live at one of those properties, you can still get involved. We welcome volunteer door-knockers who will help us get residents’ permission as well as volunteers who will help us plant the trees on the day. Just contact us to say you’d like to help. This application is due September 15, so please don’t delay.